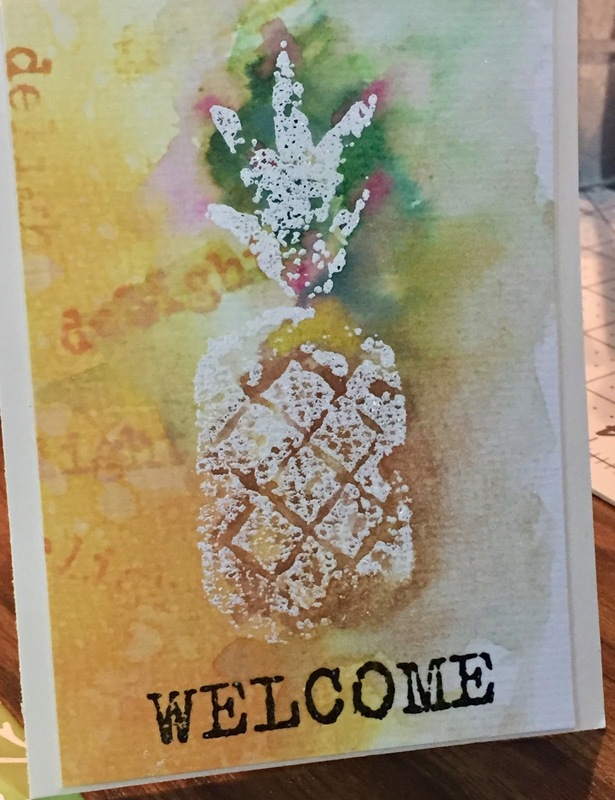 I've decided that I don't need an excuse to make a card, but when our condo association suggested we all try to make new members welcome I thought, "I'll make cards!" The stamp set, SU! Fresh Fruits was already in my stash, so it was a natural choice. 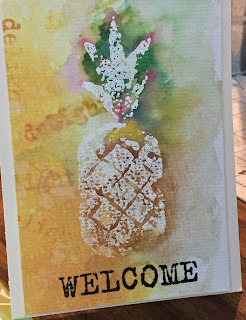 Using 140# cold pressed watercolor paper, I created the background using Tim Holtz distress oxides, stamped the pineapple with white embossing powder, and washed it over with LuminAire sparkling watercolors. I stamped the sentiment with Versafine onyx and heat embossed with clear EP.